The British Beer & Pub Association has decided that its message to "Axe the Tax" is an unrealistic goal in the current economic climate. Axe the Tax was launched last year in an effort to persuade Government to reduce duty on beer following hefty increases and an apparent prejudice against the beer drinker. It is now clear that we are not going to see any reductions in ANY taxes for the foreseeable future. Indeed, John Grogan MP, chair of the Parliamentary Beer Group, suggested to an industry forum last week that "Axe the Tax" was not a slogan that would work any time soon. So, a sad day for Mr Pinty, another statistic in the unemployment figures, and a message to the beer drinker to get used to having to help pay our way out of recession. No surprise there. This recession is deep and long and it will take an unpalatable mixture of higher taxes and reduced public spending to bring us back. As beer drinkers, it will become our patriotic duty to drink more beer and be proud to pay more for it to do our bit for King and Country. Are you ready for that test of your commitment ? Harry Houdini was a Hungarian illusionist and magician born in 1874. Later in his career he turned to escapology and is considered the father of that art and still widely regarded to have been one of the greatest escapologists in history. He introduced a famous milk can trick in 1908. An over-sized milk can would be filled with water; Houdini would be handcuffed and sealed inside, then left behind a curtain to make his daring escape. Building on this stunt, in 1911, Tetley's, even then a company that understood the value of publicity, challenged him to escape from a padlocked metal cask of ale. Houdini accepted this challenge. However, it proved too much for him and he had to be rescued by a colleague who was becoming concerned at the silence from behind the curtain as time passed. Houdini was hauled from the barrel, overcome by carbon dioxide fumes, barely conscious, and probably rather drunk. His final demise was in 1926 at the age of 52 when he expired as a result of a ruptured appendix caused by a punch to the abdomen by a fan of his as a demonstration of his strength. Carlsberg have announced that they intend to close the Tetley plant in Leeds and move production elsewhere. Follow the campaign to save the brewery here. This book has taken me an age to get enthusiastic enough to write a few words in its favour. It was published a year or so ago and has been maturing in my "work in progress" pile of books since then having been picked up and put down a number of times. 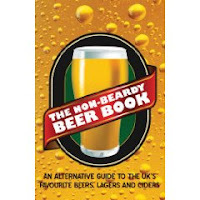 It is described as an alternative to beardy and boring real-ale guides and features a hundred irreverent reviews of the UK's bestselling brands. It is the king of beer guides that refreshes the parts other books cannot reach. All lovingly put together by a panel of independent (possibly inebriated) reviewers. It is a paperback format with a cover price of £7.99 and is, as you might guess, a little over 100 pages in length. The publishers have just launched a web-site which gives some of the reviews and saves me going into too much detail here. The reviews are funny in parts but the book is poorly illustrated and as a formal read it is a bit of a stretch. It is definitely a book to keep in the smallest room to dip into from time to time during those more contemplative moments. Just catching up on some of the stuff that was thrust into my hand at Great British Beer Festival this year. You may remember at last year's event that I helped a team who were putting together a film about the art (science ?) of beer ticking. Film maker, Phil Parkin was again a visitor to GBBF this year, this time to publicise the finished film. "Beertickers : beyond the ale" is described as a documentary film about a strange hobby, a British tradition, curiosity, collecting, obsession, and drinking good old real ale. Take a look at the trailer at www.beertickersfilm.com. 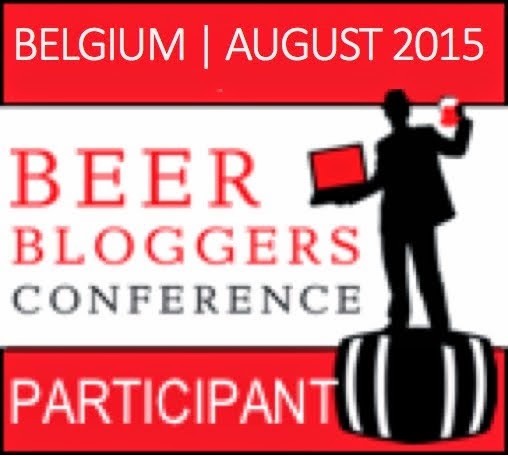 I have at last finished the series of three books about Belgian beer published by The Brewers Association. 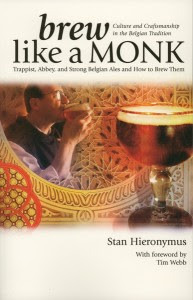 The set is sub titled "Culture and Craftsmanship in the Belgian Tradition" and the third in the series is called "Brew Like a Monk" written by Stan Hieronymus, one of America's leading beer writers. Although the books are directed at the home and craft brewer there is much within for the general beer enthusiast and all three are recommended reading if you are keen to broaden your knowledge of Belgian beer styles. The first two were called Wild Brews and Farmhouse Ales . The third as you might guess from the title is a delve into the Trappist and Abbey beer styles that are among the most well known of Belgian beers. The book covers in some detail the history, philosophy, beers and brewing of all of the Trappist and Abbey beers. It includes interviews, recipes and a general trawl through history bringing us right up to date with the monastic traditions of brewing. It also celebrates "The American Way" showing that many American craft brewers are now copying and imitating different Belgian beer styles. The book is written in an approachable, engaging style and, even if the parts on recipes are a bit geeky for the non-brewer, is a very entertaining and informative read. It will not have gone unnoticed among the more eagle eyed of you that this blog has soared to number 39 in the Wikio blog rankings for wine and beer. It is good to see that Pete Brown's Blog has dislodged wine blog The Spitoon from the top, thoroughly deserved for his efforts in the last month. What is most gratifying is that it looks as though the blogs written about beer are generally in an upward trajectory and those about wine are going down the rankings. Don't get me wrong, I like wine but the joy of writing and reading about beer is that it takes you to the pub - a social scene largely out of bounds to the wine writer as it is such an unfruitful source of material. No not my new micro-brewery venture but a plug for my namesakes in Alloa, Scotland. I am always pleased to give a shout-out to anyone who goes out of their way to send me samples of beer and books etc but I was doubly delighted to receive some beer that had my name on it. Williams Brothers (no relation) are part of Heather Ales, a company most famous for their ancient beer styles such as Fraoch, a beer brewed in a historic style with heather flowers instead of hops. The company has been brewing Fraoch for twenty years but more recently decided to expand their range by brewing some classic beer styles under a new company name, Williams Brothers. The beers were entered into the Sainsbury's beer competition this year and out of 115 entries there were 4 beers from Williams which made it to the final 15 and are on sale now in Sainsbury stores nationwide. 80 Shilling (4.2%) is a traditional Scottish ale, lightly hopped with more emphasis on the malt characteristics. The beer pours a chestnut brown colour with a thick creamy head. The caramel and toffee aroma is matched by a sweet malty flavour which finishes with a long roast, chocolate aftertaste. It displays a far greater hop character than would be expected in this style of beer. 80 Shilling, the traditional Scottish malty beer style, is all but invisible nowadays but this beer shows that the style can be very drinkable and need not be cast into the archives just yet. Ceilidh ("gathering") (4.7%) is brewed with ingredients from around the world and is a lager style beer. It is a good, clean tasting, crisp citrusy lager that has a pleasant light hop on the aroma; a classic grainy, slightly sweet flavour and a smooth, dry finish. Not really my favourite beer style but this would stand up well against other more well-known lager beers. IPA (5%) is aggressively hopped with an unusual blend of Bramling X and Amarillo hops. A big long lasting fluffy head on a golden coloured beer. Good fresh hop on the nose make one's mouth water in anticipation. A classic IPA which gives a very bitter, hoppy flavour that is much loved among today's hophead beer drinkers. One to drink now as those fresh hop flavours are very rare in a bottled beer. One of my favourite beer styles at the moment and this beer does not disappoint. This beer is brewed to 5% but I would love to see it slightly stronger with the increased alcohol balancing out the bitterness in the way it does with Jaipur or Downton. Williams IPA Extra ? Birds and Bees (5%) is a golden summer ale. It is a golden coloured beer and has a lemon aroma with a hint of honey. The taste initially is very fruity but then there is a lovely biscuity malt character that takes over leaving a fairly short dry aftertaste. None of the beers are bottle conditioned but all are brewed with good quality ingredients without preservatives. The beers are slightly over carbonated for my belly and I would very much like to try them in cask and my eyes will be peeled at future beer festivals. The quest is on. The fresh new branding and presentation of these bottles is excellent and I would guess that they have flew off the shelf at Sainsbury's. I hope there are some left for you to try. On the beer scene it is good to see that there is more to cutting edge Scottish beer than the "punk" style at Brew Dog who are becoming as famous for their publicity angles as they are for their excellent beers. My kin at Williams Brothers are making sure that Scotland is keeping up with the rest of Britain in the current growth in the craft brewing industry. Don't you just love these guys ? Can't wait to try this one. 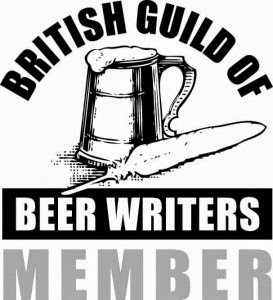 The launch of the Good Beer Guide for 2010 brings the next phase of CAMRA's Pub of the Year competition with the announcement of the winning pub from each region. London's winner this year is The Bricklayers Arms in Putney - still selling a good range of beers from Timothy Taylor Brewery but also now has two or three handpumps dedicated to smaller breweries with Sambrook's Wandle Ale a permanent fixture. Their autumn beer festival is next week, Thursday 16th to Sunday 20th - the theme is beers from Devon and Cornwall and the list of 80 beers from 40 breweries is here. The winning pub for Kent is The Bull at Horton Kirby. Readers here will be well aware of this great pub that hit my radar when they started advertising their monthly brewery showcases in London Drinker magazine. I have visited a number of times through the year and love everything about it. Nuff said from me but if you want to read far more eloquent and thorough reviews then take a look at Mark Dredge's Pencil and Spoon Blog. Winner from Surrey and Sussex is again The Royal Oak in Friday Street, Rusper. This was the winner at this stage of the competition last year and you can read about my visit here. The pub was pipped at the final stage by overall winner The Kelham Island Tavern. Can they go one stage further this year ? The pub of the year for East Anglia is The Wheatsheaf at Whittle, Essex. This is not a pub known to me but is described on their web-site as a traditional English Pub with possibly the finest Greene King IPA, in the area. Those four pubs are now judged by the four CAMRA regional directors for the region and a winner is put through to the final. Some old favourites and some unknown to me but I dare say all great pubs and worthy of a visit. The Good Beer Guide for 2010 was launched yesterday. I can tell you nothing about it as my copy has yet to arrive. I know the post in London is piling up at the sorting office but as my direct debit has not gone through my bank, I think my on-line application to receive an early copy at CAMRA's keenest price of £10 including postage has failed. I will now have to go to Amazon where copies are for sale at a cheapest ever price of £7.99 with free postage. CAMRA must make very little out of this deal but I would guess that Amazon may be making even less at this price. If I am reluctant to rely on the post, I will have to take a trip to Surrey Stationers where it is on sale for £9.99. The consumer is king. I assume the book is similar to previous years; c4,500 of the best places to find good real ale together with the details of every brewery in the country and their beers. With such a large number of pubs covered, all chosen by CAMRA branches, there are bound to be some short comings in the choice of pubs, often made worse by the time lag between selection and publication. However, the book is still the bible for the beer drinker and a generally trustworthy pointer towards the best beer. At least the embargo on publicity for CAMRA's regional pubs of the year is now lifted and I am again free to comment on the country's winning pubs. 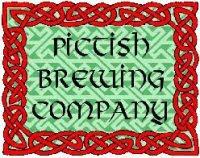 We don't see beers from Pictish Brewery too often in our neck of the woods so I am really looking forward to the Pictish Showcase at The Bull, Horton Kirby this weekend. From the single hop series of beers. A pale, very hoppy beer brewed using Cluster hops. A spicy, citrus flavour with some dryness in a long crisp bitter finish. From the single hop series of beers. A pale, very hoppy beer brewed using Riwaka hops from New Zealand. and long finish, all underpinned by a pale ale malt backbone that gives the beer a good body. Another single hop beer. A pale, very hoppy beer brewed using Simcoe hops. Floral notes in aroma and taste. A premium tawny coloured ale with a ruby red hue. A robust hop aroma precedes a full bodied malty taste with caramel notes and a dry bitter finish. Another from the single hop series. A pale, very hoppy beer brewed using Galena hops. Clear golden coloured, very hoppy with a crisp and slightly bitter dry malt finish. Pictish Brewery has a reputation that is growing far afield from its Rochdale home and my mouth is watering at the prospect of trying all seven of these beers later in the week. Hope to bump into one or two other hopheads there. As I said in my last posting, most pubs are likely to change character over time. Landlords will come and go, ownership will change, trends in refurbishment and decoration will move and food and wine fads will persistently alter the bar offering. When Mark Dorber, one of London's legendary landlords over the last twenty years, said he was "retiring" to the country one could imagine that The White Horse in Parsons Green might see a few changes - and probably not for the better. Mark had worked at the pub, first as a cellarman, then as manager, since 1981 and had been the driving force that made the pub one of London's finest. He had also been one of the most influential people in London to bring rarer beer styles to the fore such as India Pale Ale and Old Ales. Owned by one of the country's largest chains, M&B, there was always some concern that the pub would change its character once Mark had left in 2007. It is my opinion that the pub remains one of the landmark pubs in London and its regular beer events continue to be among the year's most popular beer festivals. The American beer festival held over the weekend of 4th July was so enjoyable that I was compelled to return for a second session. This despite many of the beers being 8-10% and queues for beer of twenty minutes - not due to lack of staff, just due to the sheer number of people attending. The Belgian beer festival was held last weekend and was another great day out. There was a choice of forty odd Belgian beers in different styles together with a handful of British real ales brewed in Belgian style. A slightly smaller crowd meant that there were slightly shorter waits for a beer. The current manager, Dan Fox, is only thirty years old but is emulating and improving on all of the good work that has been done at the pub over the years. It remains one of London's best pubs. Even without a beer festival, I would suggest that it has one of the best bottled beer menus in the country and continues to serve excellent choice and quality of real ales. Indeed it was again West London CAMRA branch pub of the year for 2009. The next events are British Lager Week in the week commencing 12th October - in conjunction with The Campaign for British Lager (LOBI) - followed by the regular annual Old Ale festival in the last week of November. See you there ! Of course, Mark Dorber did not retire but went to run the Anchor in Walbeswick, Suffolk.